Lagos, Nigeria; 19 March, 2018: It was the end of the road for Anto as she was voted out of the Big Brother Naija house during eviction show on Sunday, 18 March having only secured 5.28% of the total votes. She becomes the 11th housemate to leave the house after she was nominated alongside fellow housemates, Tobi, Cee C, Miracle, Teddy A, Bam Bam, Alex and Lolu for possible eviction the week before. While on stage with the show’s host, Ebuka Obi-Uchendu, Anto disclosed that she had a premonition she was going to be evicted that night, even though she had hopes of clinching the grand prize. When Ebuka asked who she thought nominated her, she quickly mentioned the duo of Cee C and Nina. It came as a bit of a surprise to her when it was revealed that it was indeed Cee C and Bam Bam. On her experience in the house, she described it as “weird”, saying she thought it would be a bit easier but nonetheless grateful for the experience as she probably wouldn’t have the other housemates in any other situation. Meanwhile, fans of the show were eager to know about her presumed ‘love triangle’ with Lolu and Tobi. In her response, Anto admitted that Tobi caught her eye first but she couldn’t bond with him as Cee C ‘grabbed’ him quickly in the game. She connected more with Lolu and said he would most probably be referred to as her romantic partner in the house. It was not only Anto’s eviction that got viewers buzzing. During the show, Big Brother issued Tobi a strike for disregarding his rules and engaging in a conversation with Lolu and Anto over Cee C which Big Brother labelled conspiracy. This earned him a strike, bringing his total strikes to two. Living up to the theme of the show, Ebuka announced that this week, the public will be voting to bring back two of their favourite evicted housemates. 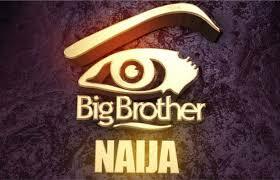 The two housemates that make it back into the House will return as individuals and will compete for the prize. Sunday’s eviction show opened with a sultry performance by popular Nigerian singer and songwriter, Simi. She performed her hit songs, ‘Joromi’ and ‘O wa nbe’. Voting begins on Monday at 6.30 pm, and viewers can vote via SMS, mobile and website. To vote via SMS, simple text the word "vote" followed by the name of housemate to 32052. Voting costs N30 per SMS. To vote via mobile site and website, simply register on africamagic.tv/bbvote.